We’d love your help. 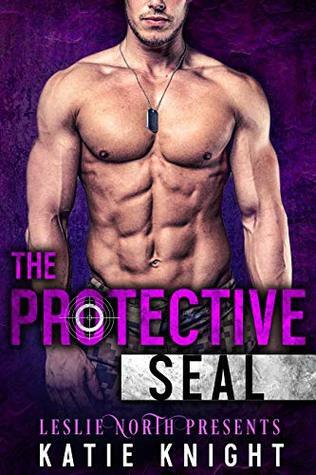 Let us know what’s wrong with this preview of The Protective SEAL by Katie Knight. Jack Williams has never felt so lost. Since retiring from the Navy SEALS thanks to a career-ending injury, he’s been at loose ends. Suddenly, there’s no one to save, no mission to complete. So when he sees a car in a ditch off the side of the road, he goes into hero mode, only to find out he knows the lady in distress—intimately. So intimately, the baby in her arms is prob Jack Williams has never felt so lost. Since retiring from the Navy SEALS thanks to a career-ending injury, he’s been at loose ends. Suddenly, there’s no one to save, no mission to complete. So when he sees a car in a ditch off the side of the road, he goes into hero mode, only to find out he knows the lady in distress—intimately. So intimately, the baby in her arms is probably his. A little over a year ago, Jack acted as Samantha Engel’s protector right before she’d gone into witness protection to escape from her mob-boss father. Now, here she is in the middle of nowhere, holding a darling little girl, and needing him again. In just a few days, she’s set to testify against her father, but one of the U.S. Marshalls assigned to protect her ended up being on her father’s payroll, and she had to run for her life. With both her and her child in deadly danger, Jack readily agrees to keep her safe. And if keeping her safe means keeping her in his arms, he’s more than willing to do so. With nowhere to run and no one to trust, Samantha readily puts her life in Jack’s hands. He’s the only one in her turbulent world who she can count on. As part of the witness protection system, she never thought she’d see him again and isn’t quite ready to feel her heart responding to him so quickly. Sam knows they don’t have a future, but for just a little while, she wants to feel safe, to feel loved. And when she sees how her daughter has quickly become attached to Jack, it’s even more heartbreaking to know that when the trial is over and with the mob still after revenge, they’ll have to say good-bye to Jack again. To ask other readers questions about The Protective SEAL, please sign up.